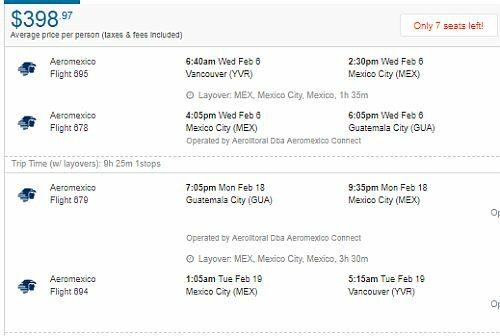 Aeromexico is showing a couple of flights from Vancouver to Guatemala City, Guatemala in February 2019 for $383 CAD roundtrip including taxes. The flights have 1 stop each way in Mexico City, for 90 minutes on the way down, and 3.5 hours on the way home. 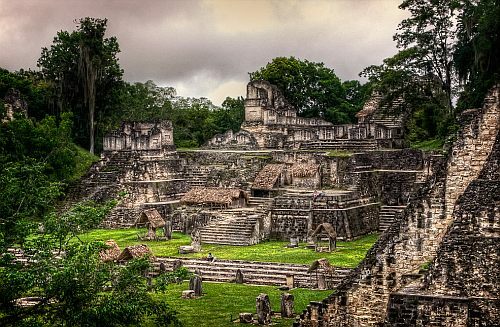 vancouver, yvr, flight deals, central america, aeromexico, guatemala city, guatemala and gua.